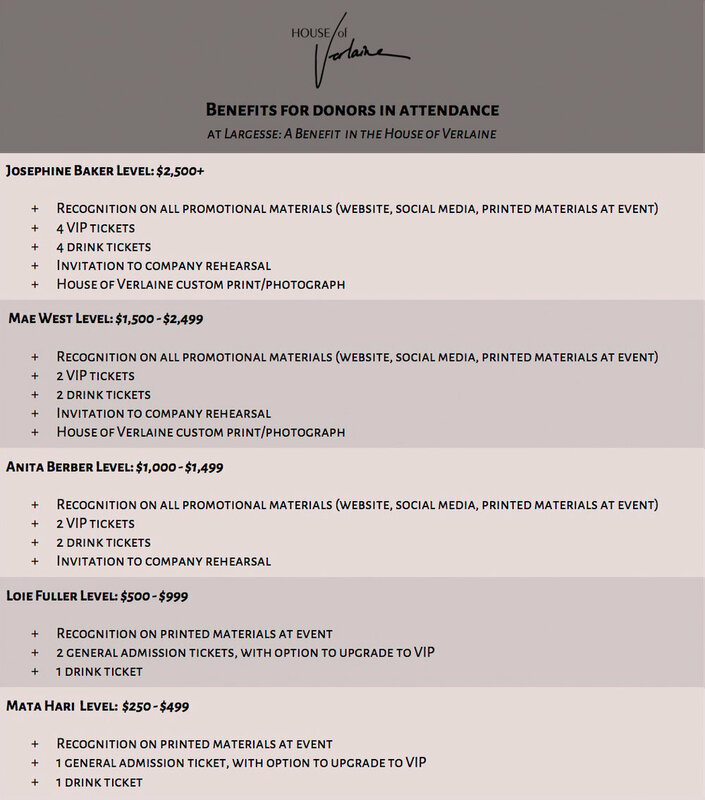 If you would like to become a sponsor at one of the above levels, please contact our Development Associate Hannah Simmons directly at sponsorship@houseofverlaine.com or via the adjacent form. You may also donate via the button below and we will be in contact with you within 48 hours to redeem your benefits. If you are unable to attend Largesse, please contact us for information about packages for sponsors who are unable to attend but would like to contribute to the future of House of Verlaine.